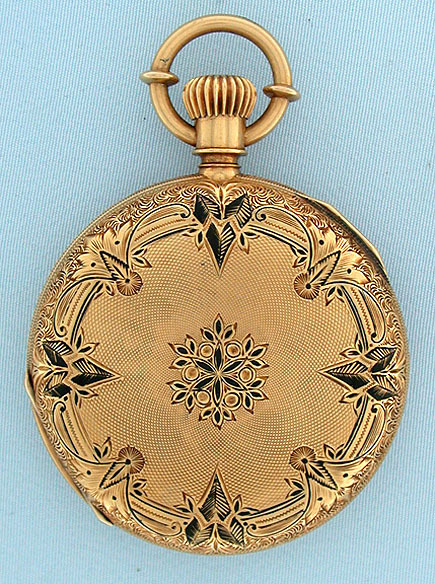 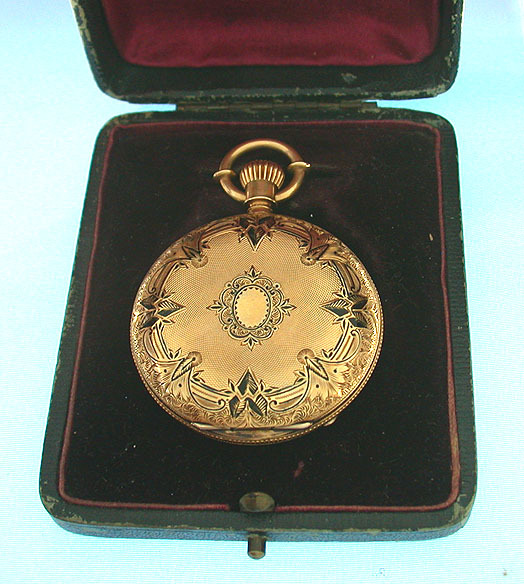 Fine and handsome medium size Swiss 18K gold and enamel antique pocket watch with original box by Mathey circa 1880. 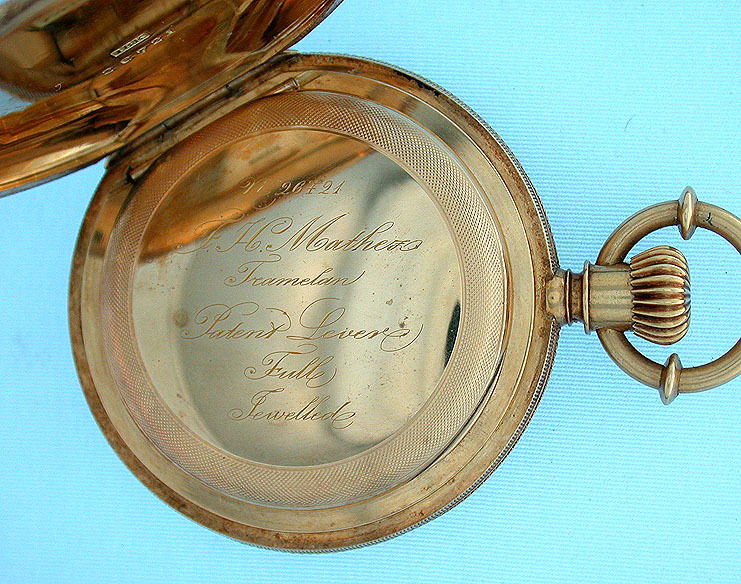 The substantial case with engine turning and engraving heightened by black enamel. 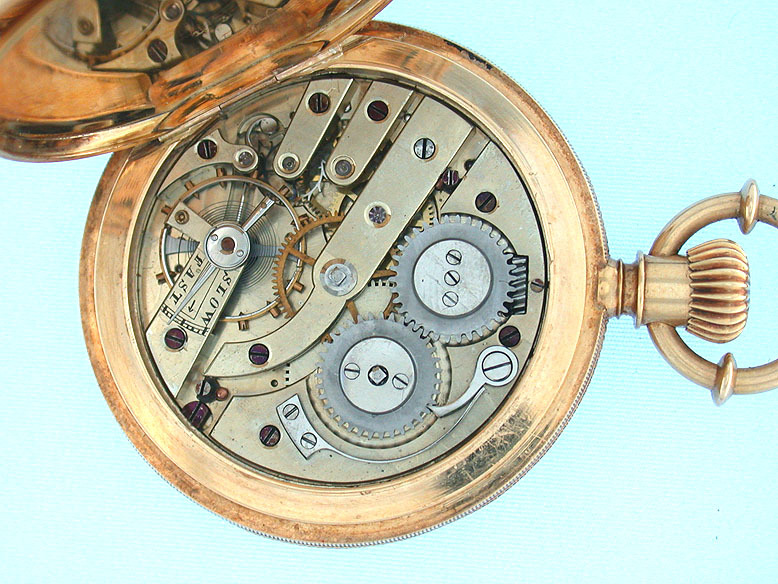 White enamel dial (poor photo, clean hairline and edge chip covered by the bezel) with gold and blued steel hands. 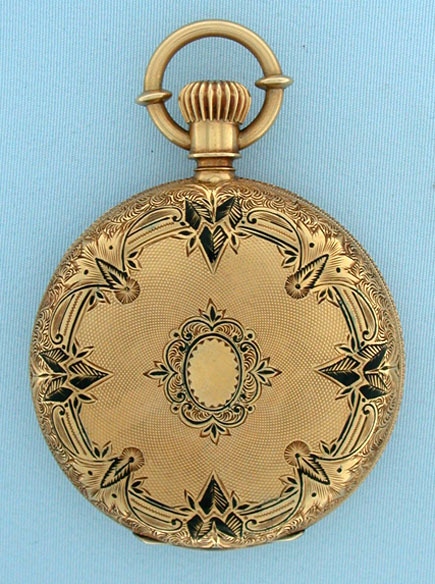 Nickel 16 jewel lever movement.